New York, NY - The New York City Rent Guidelines Boards has voted to raise rents on approximately one million rent-stabilized apartments. The proposal, which passed by a 5 to 4 vote on Thursday, raises rents on one-year leases by 2 percent and on two-year leases by 4 percent. Joseph Strasburg is president of the Rent Stabilization Association, which advocates for landlords. He says owners need enough money to keep buildings in good condition. 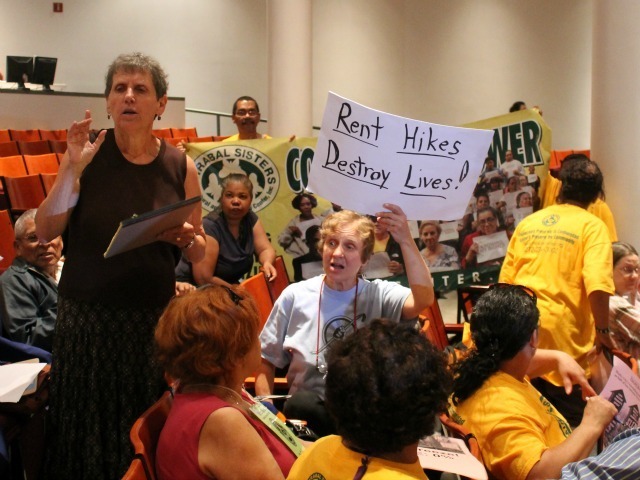 Tenant groups, which had called for a rent freeze, say New Yorkers can’t afford rent hikes. They say the Rent Guidelines Board should be reformed to increase its accountability and diversity. Stop whining. You live in rent stabilized apartments, not "rent frozen". All that means is they can't just jump your rent cost up like they can do elsewhere. Landlords need the extra money to repair and prevent violations. The cost of everything has gone up- why not your rent? please... its a simple as this. you give someone one dollar he wants 10. Its all about greed. landlords are making more than enough money. multiply the monthly proceeds of a large complex and you get a nice living. Let me guess, you're an $8 an hour grocery store clerk that lives in an illegal basement apartment in a two family on the outskirts of boro park......you don't deserve an answer. I however, am a landlord of hundreds of apartments, and know otherwise.